Story time should be an everyday ritual. For some this comes easy and naturally but for others, not so much. 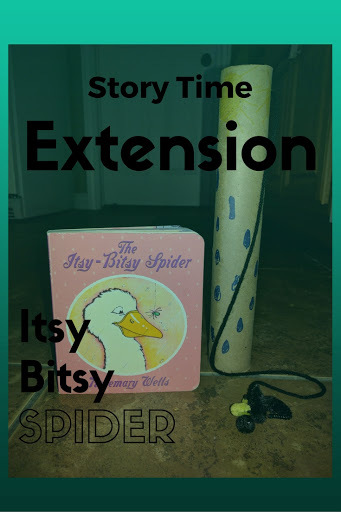 Today I am going to share with you my family’s story time routine. Our routine has changed as Spencer has gotten older. 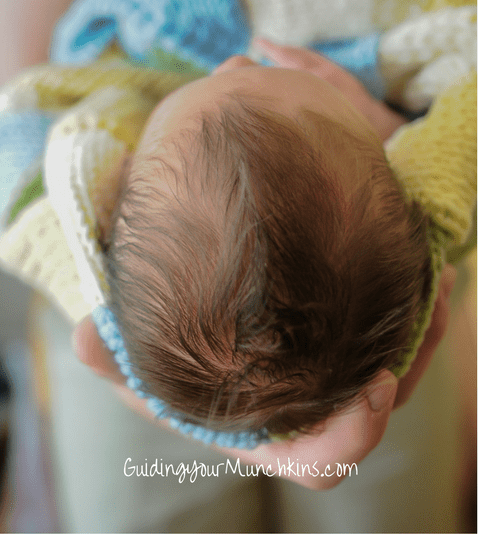 I am going to share with you our routine for when he was a baby, our current routine, and what I plan on doing in the future. I loved sitting in our glider and rocking Spencer to sleep when he was a baby. That was such a calm, relaxing, bonding time for us. During this time I would read to him. Even when he was just a few days old. Typically, it would end up being 2 or 3 stories before he would crash. I would also switch things up and read to whatever book I was currently reading to him. Remember, you don’t always have to read picture books. 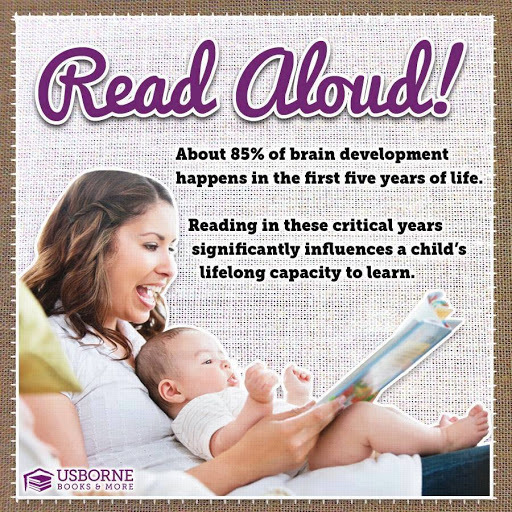 You can read whatever you want because the most important thing about story time is building their language and spending time together. I also found that reading a short story to him when he was fussy would help to calm him down. When Spencer is going down for his nap I grab the book that I am reading and sit in the glider (just like when he was a baby). I will read 3-5 pages out of my book and then put him down. This is shorter than before because he no longer gets rocked to sleep. For bedtime we read 1 picture book. I go to the library frequently to help mix up our selection of books to read from. This is a fun tradition for us because we get some time to calm down and snuggle before he goes to bed. I encourage Spencer to read books throughout the day. I have a basket of books that sit by our TV. That way he can always see and find a stack of books. About once a week I will switch out these books for new books. Ever since I started doing this, his interest in books has grown dramatically. We also keep 4-5 books in the car for him as well. By always having books available for him he can sit down and look at the book by himself or sometimes he will bring it to me to read to him. We talk about what is happening in the pictures and point out colors, animals, objects, etc. as we read. This is something that I plan on doing in a few years with Spencer. I would also give this advice to the parents of my preschoolers when they asked me questions about story time. During nap or rest time, allow your child to choose a few books to read/look at. You could read one together and then allow them to keep some of the books with them as they fall asleep or rest. 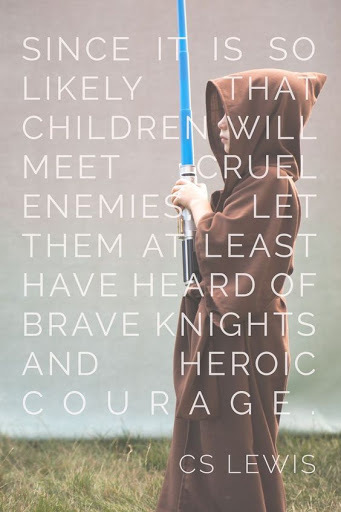 I know that this has worked with many children. Some kids don’t need to take a nap anymore but it is still good for them (and parents) if they have some quiet time to rest. Allowing them to look at books during that time helps them to actually rest. At bedtime, let your child choose 1-2 books to read together. You could even take turns on who chooses the story for the night. A basket full of books would still be an excellent way to promote reading. Kids are advertised to everyday so why not take advantage of that and advertise reading. If kids see interesting books they will want to investigate. I know that some families read aloud together during breakfast time. I think this is a fantastic idea! You could read picture books, chapter books, religious books, whatever you want. Once again, it’s not what you read that is important. What matters is that you are taking the time to show your kids that reading is fun and is valuable. You don’t have to stop reading to them as they get older. Take time and read as a whole family. You will create memories that will last forever. So, there you go. 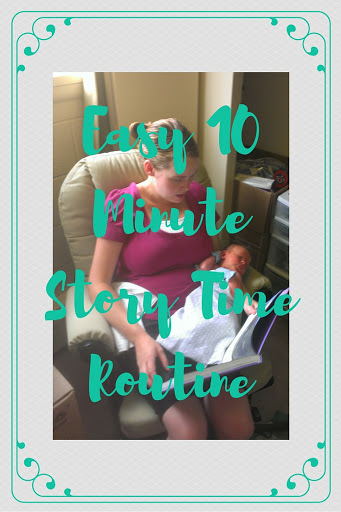 My short tips on how to create an easy 10 minute story time routine. What are some of your family’s favorite stories to read together?